These minor changes certainly ensure that the changes are minimal, they are frequent (Cisco does minor updates once a year) and incremental. Below is the domain level comparison of CCIE Service Provider v4.0 and v4.1. Domain 2 (Service Provider Architecture and Services) now holds tasks of the original domain 1 and 3. “Describe, implement, and troubleshoot GRE and mGRE based VPN” was removed. Domain 4 (High Availability and Fast Convergence) remains unchanged, only the weights changed. The CCIE Service Provider version 4.1 exam continues to focus on dual-stack solutions for both IPv4 and IPv6 technologies, as it was already deployed in the CCIE Service Provider version 4.0 exam. All solutions, for example, routing protocols, fast convergence, and L3VPN cover both IPv4 and IPv6 technologies. The CCIE Service Provider lab exam environment was updated. However, no new technologies or features were added to the exam topics and therefore, the impact of this software update is minor. Candidates who want to prepare for the exam using hardware equipment are advised to use the following Cisco equipment and Cisco Software releases, which are used in the Diagnostic module. One could say this a good approach from Cisco to keep CCIE exams more relevant to the new hardware and software they release. When it comes to an idle timeout, by default Palo Alto Networks Firewalls and Panorama are configured for 3600 seconds (1 hour). This means if a Security Engineer or Security Analyst logs into the Web UI of Palo Alto Networks Firewalls and Panorama keeps the session idle for an hour they are not automatically logged off. One can also change the idle time from the Web UI as shown below for the value they want for. Idealistically by default Palo Alto Networks Panorama should logs out the Administrator after 60 minutes of idle time, however, this is not true as its been observed after 10 minutes of inactivity Panorama Web UI forces a logout. This occurs due to a reported bug, as it fails to apply an idle timeout value of 3600 seconds, rather 600 seconds (10 minutes) is applied. Currently, no workaround is provided by Palo Alto Networks to resolve this issue, despite this issue was reported in the year 2012 yet there is no fix provided. The recent press release from Palo Alto networks comes with a great surprise as they released PAN-OS 8.1 which comes with some great new features and enhancements, also the new hardware they introduced have plenty to offer. 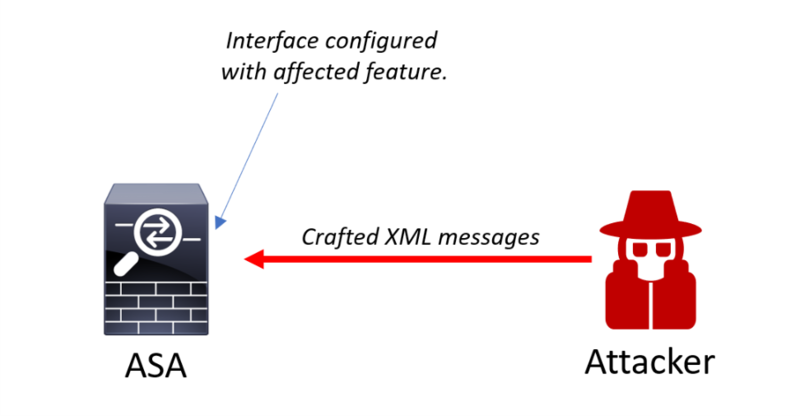 With growing threats targeted in form, SSL is always challenging to intercept and stop. Even the Next-Gen Firewall fails to stop some of the SSL embedded attacks and threats, the only way one can stop them is by intercepting the SSL traffic at the hardware level. Palo Alto Networks Next-generation firewalls are known for their decryption capabilities and they are quite stable as well. With PAN-OS 8.1 Palo Alto Network Firewalls are empowered to streamline the SSL decryption traffic as they are capable of decrypting the SSL traffic once and share the decrypted traffic with other devices easily which further enhances security by simply applying the principle of defense in depth. Application filter to allow new App-IDs – Temporarily allow new apps, this feature ensures that the newly released apps are not accidentally blocked until one review their security policy and then they can an appropriate action. Better tools to assess the effect of App-IDs – Get insight into newly categorized application activity and the effect of the new App-IDs on their traffic. Rule usage tracker to eliminate security risks – Remove unused security rules by understanding when a rule was the last hit, which eliminates holes that create security risks. Panorama™ management 8.1 includes new features that provide even greater efficiency for teams managing physical and virtual appliances running PAN-OS. Using variables in templates, one can now leverage common configurations across many devices while substituting device-specific values in place of IP addresses, IP ranges, FQDNs and more. Palo Alto Network released new hardware with a specific purpose. Now Palo Alto networks are also targeting industrial zone, works shops etc with very hard environmental conditions. They have introduced PA-220R ruggedized next-generation firewall brings the same PAN-OS features that protect the largest data centers; offers an extended temperature range; and is certified to IEEE 1613 and IEC 61850-3 standards for vibration, temperature and immunity to electromagnetic interference. It provides interactive visibility and control of industrial protocols and applications, such as Modbus, DNP3, IEC 60870-5-104, Siemens S7, OSIsoft PI® and more. The newly released PA-5200 Series appliances prevent threats and safely enables applications in mobile network environments and large enterprise data centers. The PA-5280 offers security at throughput speeds of up to 68 Gbps and session capacity of up to 64 million. 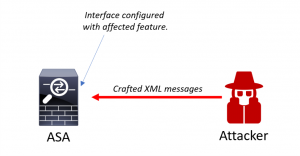 However, the latest blog post by Omar Santos at Cisco blogs explains how the vulnerability can be exploited using crafted XML messages. 1ASDM is vulnerable only from an IP address in the configured http command range. 2 Cisco Security Manager is vulnerable only from an IP address in the configured http command range. 3The MDM Proxy is first supported as of software release 9.3.1. 4The REST API is first supported as of software release 9.3.2. The REST API is vulnerable only from an IP address in the configured http command range. 5SAML SSO is first supported as of software release 9.6. Its recommend to immediately upgrade your ASA with the new recommended release to overcome this vulnerability. Recently I was successful in passing Check Point Certified Security Administrator (CCSA) exam and now I am a Check Point Certified Security Administrator. Check Point Certified Security Administrator (CCSA) exam is a pretty straightforward exam which addresses the following topics and one need to score 70% to pass the exam. When it comes to exam preparations often one needs to depend upon their experience along with either official training or self-study materials. In my case, I relied more on hands-on experience and Check Point CCSA GAiA 156-215.76 CBT nuggets by @KeithBarkerCCIE . This video series is really quite good as @KeithBarkerCCIE walks through the topics of CCSA exam in the quite interesting way and simultaneously he builds a virtual lab and demonstrates what he is teaching, by this way one can certainly grasp the topics quite easily. I build a virtual lab and practiced what I was learning by watching Check Point CCSA GAiA 156-215.76 CBT nuggets. The video series is quite helpful for those, who just started their Checkpoint journey, as Keith explains the concepts and history of Checkpoint in less than 35 minutes in a most effective way. The great things about CBT Nuggets are that you can avail their coaching facilities known as “Accountability Coaching” Buy availing this facility you are ensured that your progress is tracked and a dedicated coach will help you to determine your goals and set deadline. I was lucky to work with Megan Flores as she helped me build my goals and the objective behind this certification. She was a great mentor and I am thankful to her for the follow-ups and the motivation calls she made. It’s really helpful to set deadlines and held accountable for those deadlines. To summarize one with a good understanding of networks and firewalls can take this course and prepare well for the Check Point Certified Security Administrator (CCSA) exam. I believe Check Point CCSA GAiA 156-215.76 CBT nuggets by @KeithBarkerCCIE is a great tool to ace the exam. 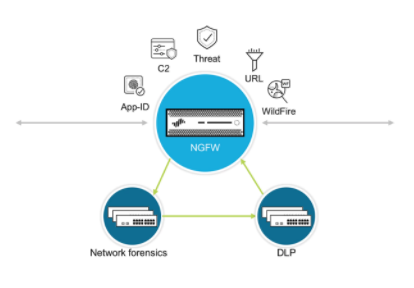 According to latest Cisco Security Advisories and Alerts update, Cisco ASA Firewalls, and Cisco FTDs can be exploited remotely provided WebVPN is configured on them. There is a vulnerability in the Secure Sockets Layer (SSL) VPN functionality of the Cisco Adaptive Security Appliance (ASA) Software could allow an unauthenticated, remote attacker to cause a reload of the affected system or to remotely execute code. The following example shows the output of the command for a device that is running Cisco ASA Software and has WebVPN enabled on the Outside interface. Customers who use Cisco Adaptive Security Device Manager (ASDM) to manage devices can locate the software release in the table that appears in the login window or the upper-left corner of the Cisco ASDM window. This vulnerability applies to the FTD 6.2.2 software release, which was the first to support the Remote Access VPN feature. This release contains both Firepower and ASA code. 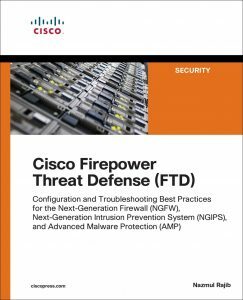 Review Firepower Threat Defense Devices in the Cisco Firepower Compatibility Guide for additional information. Administrators can use the show version command at the CLI to determine the FTD release. In this example, the device is running software release 6.2.2. In order to overcome this vulnerability, one has to upgrade their Cisco ASA and Cisco FTD appliances as there is no other workaround available. When it comes to FTD, Cisco FTD major release prior to 6.2.2 are not vulnerable simply because they were not supporting VPNs, the below table shows the details of the fix. Its recommended to take the advice of Cisco TAC and plan the software upgrade. This vulnerability was discovered by Security researchers Cedric Halbronn form the NCC group and reported the same to Cisco. On Feb 2 2018 at the Recon Brussels conference, Cedric Halbronn is scheduled to deliver a talk on how he exploited this vulnerability. 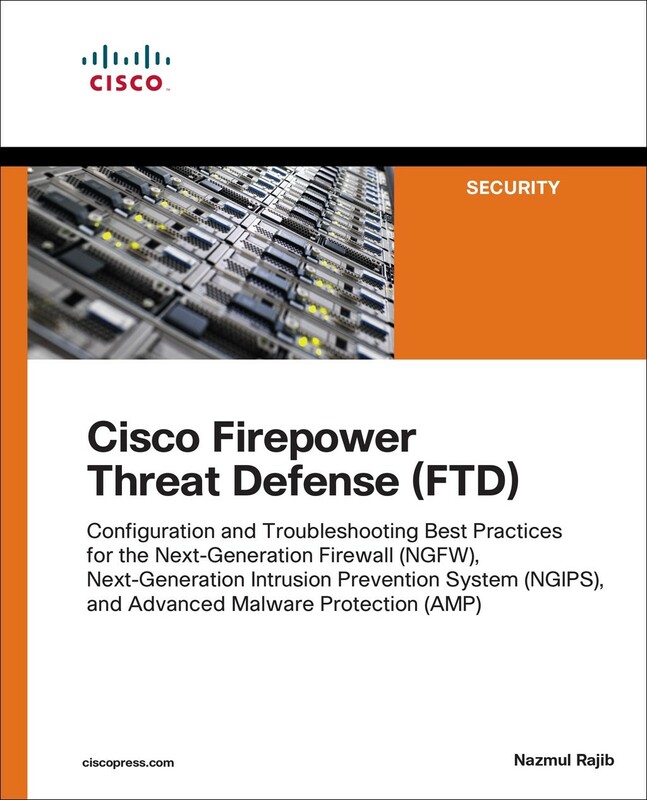 The recently released Cisco Press title “Cisco Firepower Threat Defense (FTD)” by Najmul Rajib is a great treat to read as he addresses most of the new concepts and new approach one has to adapt to enhance his/her Cisco’s Firepower technology. The evolution of Firepower is a good starting point of this title as it addresses the concepts of Defence Center, FireSIGHT Systems and Firepower systems in very concise manner and also this gives a good understanding of Firepower System Software Components. The ASA reimaging chapter is quite elaborative and gives all the steps one should follow to reimage their ASA with unified FTD image. The chapter comes with great screen shots of the steps one should follow. If one wants to re-image their ASA Firewall with unified FTD image they can also see my post published some in April 2017. Part II of this title addresses the administration and troubleshooting steps, licensing and registration process, followed by the Firepower deployment modes. Whereas Part III focusses more into the troubleshooting and administration of traffic like how one can capture a traffic from Firepower engine, how one can download a .pcap file. How to inspect an SSL traffic, though this section could have been more elaborative as it addresses to fail the SSL interception in detail. Part IV concludes this title with some advanced troubleshooting and administrating tips for Cisco’s Next Generation Security features like blocking a DNS query, URL filtering, discovering and blocking traffic based on applications. One can certainly make use of this title to enhance their knowledge about Cisco Next-Generation Firewalls as it comes with best practices for the various topic, few such topics which grabbed our attention was a deployment of FTD in routed mode and blocking DNS query. Also, this title happens to be very handy guide for CCNA Security, CCNP Security, and CCIE Security exams preparations. If the VPN capabilities of FTD was discussed it would have added some more value as this is a key feature of any Next-Generation Firewalls. To conclude it’s a well-written title by Najmul Rajib which helps one to understand what FTD is and how one can start working with FXOS as it comes with a good example and best practices. Cisco runs a program known as Cisco Champions, which purely runs on nominations, one can either nominate himself/ herself or someone whom they see as experts in Cisco Products and Technologies. 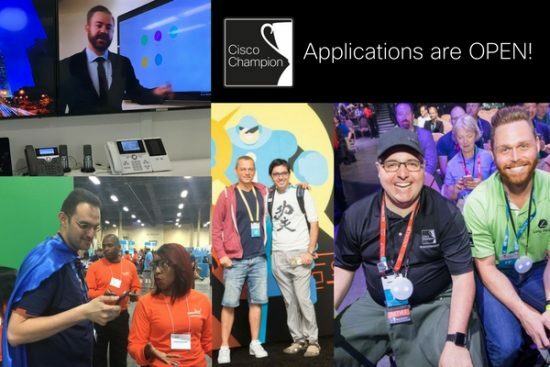 Cisco expects the potential Cisco Champions to actively share their knowledge, expertise and thoughts in technical forums, communities, user groups, social media and speaking engagement across the social web, IRL and with Cisco. Being a Cisco Champion for 2017 I certainly recommend one to nominate themselves or others for this program, Cisco Champions program is quite beneficial and one can peer with fellow Cisco Champions as they get good opportunity to learn from subject matter experts and share their knowledge as well. The last day to register for this program is November 24th ,2017.